Foxconn Buys Sharp; New Displays On The iPhone 7? As we see the focus of the smartphone world shift on Samsung and LG’s due to their ;aunches of the Galaxy S7/S7 Edge and the LG G5, Cupertino manufacturer Apple has still managed to stay a regular part of the news. Aside from the company’s ongoing tussle with the government, expected launches of the iPhone 5se and the iPad Air 3 have left plenty of interesting details in the run. Speculation about the iPhone 7 and the iPhone 7 Plus is also rife, with the device to allegedly come with a dual camera setup of its own among other things. The recent launches of the Samsung Galaxy S7, Samsung Galaxy S7 Edge and the LG G5 came with their fair share of impressive upgrades on board. While the overall features and functionality of the devices managed to stay the same, we saw a particular focus towards the camera on the smartphones. LG launched the G5 with a dual camera setup, making the smartphone one of the first major Android launches with the feature. On the other hand, Samsung chose to launch the Galaxy S7 and the Galaxy S7 Edge with a Dual-Pixel camera with increased Pixel size, focusing on details rather than on-box specifications. Coming back towards display and Apple, the Cupertino manufacturer’s long overdue a display upgrade on the iPhone which improves content quality rather than new features being offered. 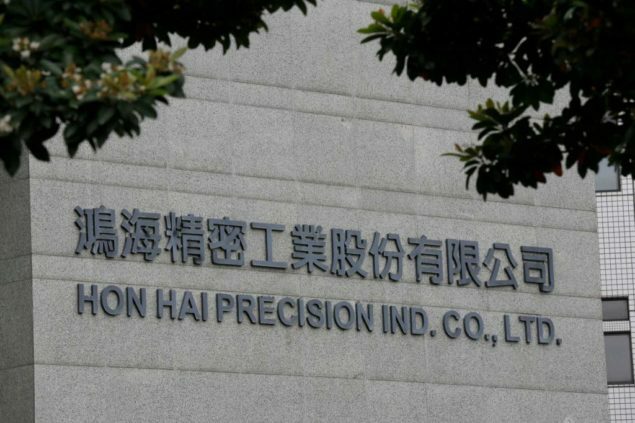 To that affect, dealings between Hon Hai Precision and Japanese display manufacturer Sharp have entered their final stages. Apple’s primary Eastern supplier, Foxconn recently finalized a deal with Sharp Corporation to ‘purchase’ the company for $6.24 Billion*. Such a move will likely strengthen its relations with Apple and facilitate a much needed iPhone 7 display upgrade as well. Things aren’t all set and done yet however, as some complications have apparently risen up in the final stages. According to the Wall Street Journal, some new details have been uncovered which have caused Foxconn to put the details on hold. According to sources, Foxconn has received details regarding approximately $3.1 Billion in contingent liabilities, or in layman terms, debts that the company currently owns to other parties. In fact, Sharp’s financial position hasn’t been that well these days, a fact which led Foxconn to consider purchasing the corporation in the first place. The Japanese manufacturer is one of the three primary display suppliers for the iPhone lineup. Apple’s second display supplier, Japan Display also recently announced upgrades in display backplates, which should improve power consumption while driving down costs. A display upgrade on the iPhone 7 and the iPhone 7 Plus is much needed, and judging by the looks of things, Apple should make the change. We’ve got the upcoming launches of the iPhone 5se and the iPad Air 3 to look forward to in the meanwhile, so stay tuned and let us know what you think in the comments section below.